A busy Wednesday with 4 runners across 3 meetings. It's going to be all go for the team here at Stockton Hall on Wednesday when we have 4 runners across 3 different race meetings. The day gets started at Hereford with Western Morning running in the 2 and a half mile novice hurdle at 1:05, we planned to run at Sedgefield on Tuesday but due to a very serious crash on the M6 which caused a 3 hour traffic delay we had to declare ourselves a non runner. The quickish ground should suit and we are hoping he shows a glimpse of promise. Ross Turner takes the ride. At Wolverhampton we have 2 runners, firstly Omotesando will be looking to repeat his victory at Wolverhampton last week. As that was a apprentice race he runs off the same mark and whilst this is a step up in class we are hopeful of a good run. Charlie Bennett keeps the ride. We then move on to Arty but Poor in the 6 furlong nursery, the step back to this trip should suit and even from his wide draw we are hopeful of a good effort. Kevin Stott will be aboard. 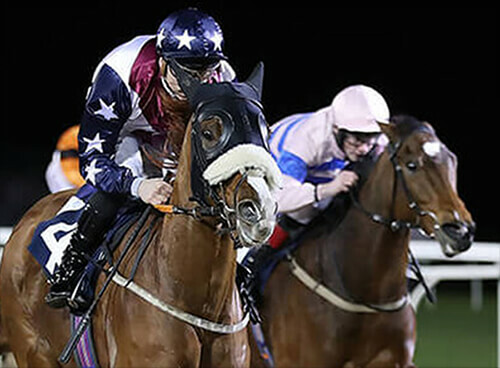 Our final runner of the day comes at the evening meeting at Kempton when Never a Word will be looking to bounce back to his good 4th at Wolverhampton 2 runs back, he had no luck last time at Chelmsford and with the step up in trip likely to suit we are hopeful of a good showing. Nicky Mackay rides.